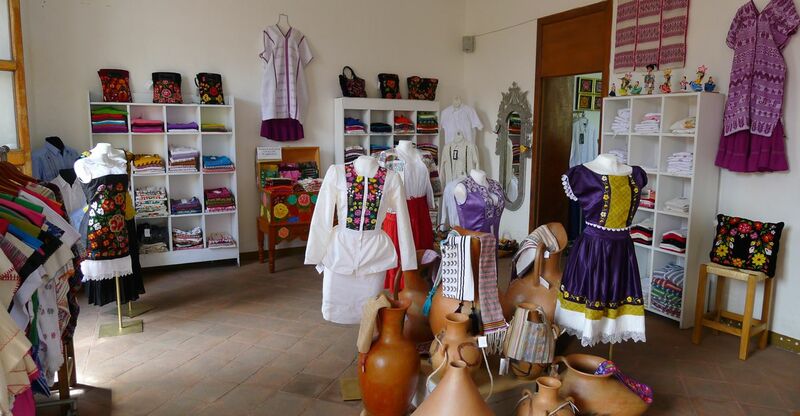 Around the Santo Domingo church are several individual shops with fine textiles. Out and about? Take a look at these! El Nahual – 412 A Reforma (near and across from the Botanical Garden) El Nahual is a small coop of friends who present the best of their work. 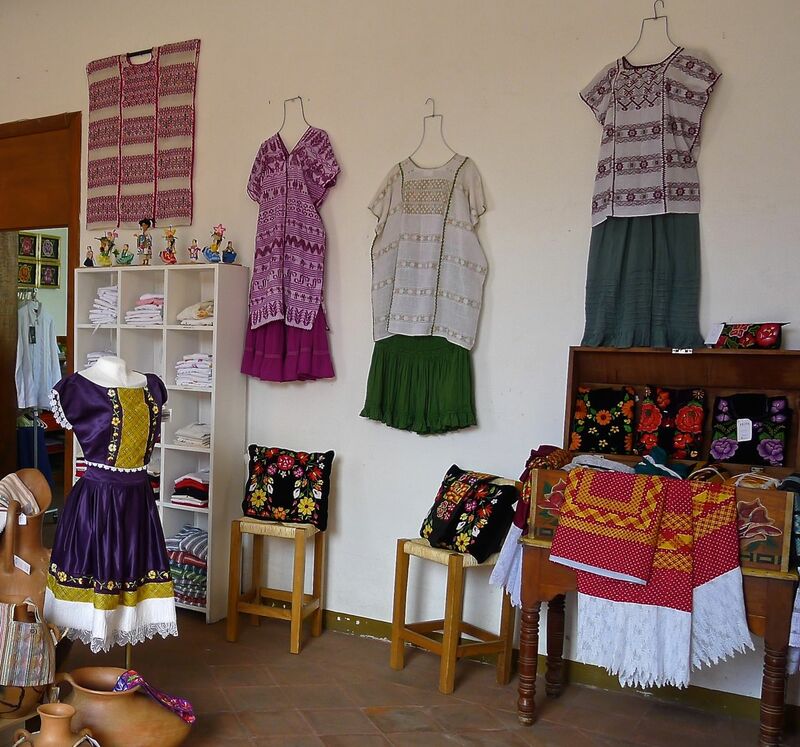 Master weaver Erasto ‘Tito” Mendoza’s exquisitely woven tapestries are highlighted along with some excellent San Antonino embroidered ‘Oaxacan wedding dress’ style blouses by Miriam Campos Cornelio…and of course some other non-textile artisania i.e. 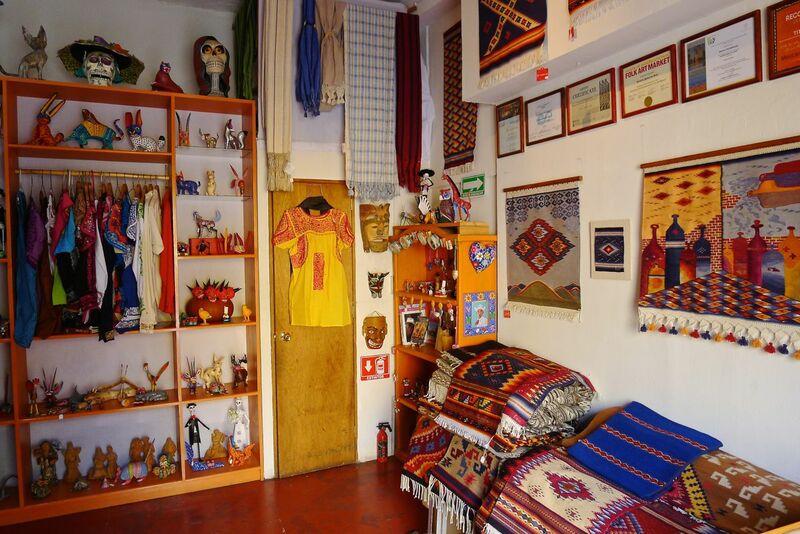 jewelry, wood carvings and an interesting secondary market of prints from famous Oaxacan artists.Toledo anyone? Definitely great stuff!! Silvia Suarez – Gurrion #1110 interior 1 (across the street from southern side of Santo Domingo nr. 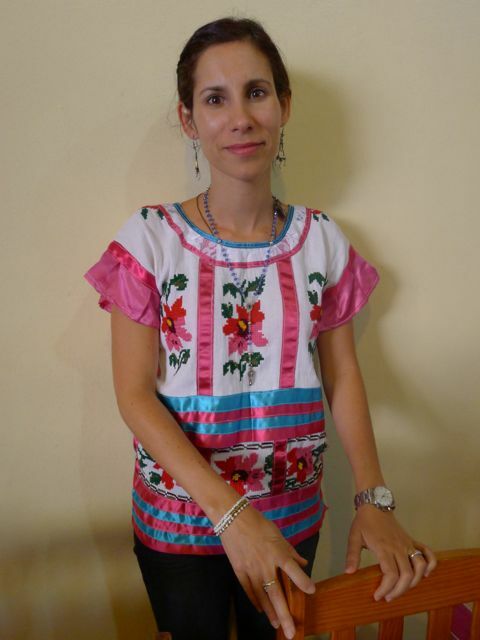 Alcala) For over 10 years Silvia has been working with different textile groups throughout the state of Oaxaca. Artisans involved in her projects develop creative skills which are then transmitted into her clothing line that joins the contemporary with the traditional. 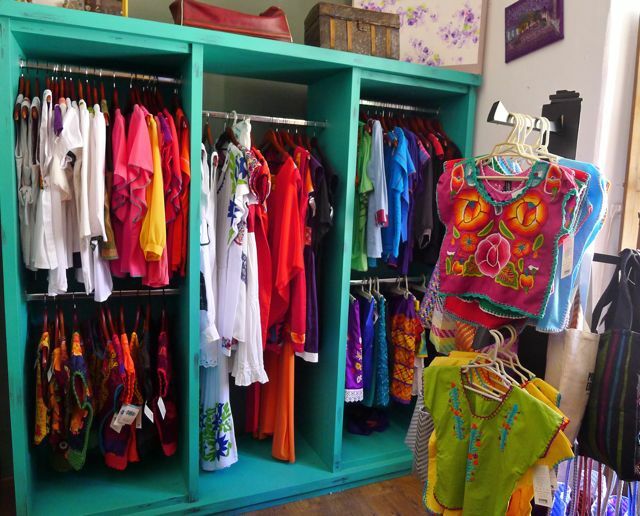 Lots of great ‘younger’ innovative style dresses, blouses etc. Plus some wonderful accessories and gifts. 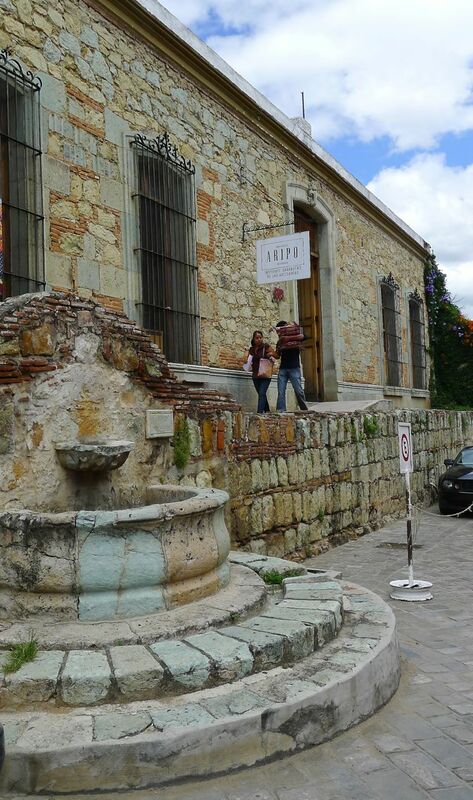 A R I P O – 809 Garcia Vigil (located in a beautiful colonial building above Alcala) The Oaxacan Institute of Artesania, is a state sponsored institute with multiple small galleries of fine artesania: ceramics, textiles, jewelry etc. 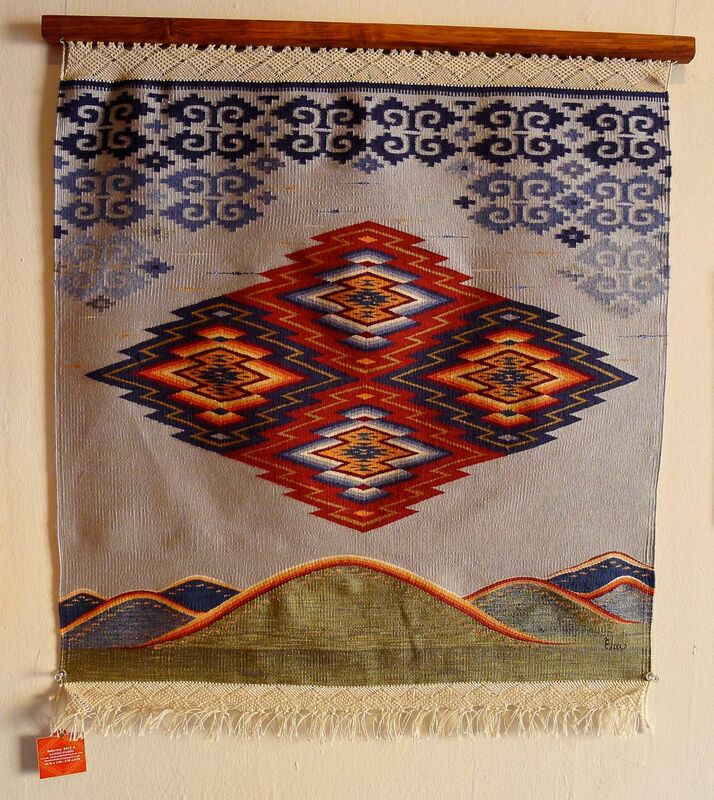 Especially interesting to me are the textiles and I usually find some good specimens among the huipiles and blouses. Plus there is innovative jewelry coming directly from remote parts of Oaxaca. Different craft media is featured at various times during the year – so you never know what you will find here and you won’t see it any other place. Generally good quality and worth the visit if just for the colonial building alone. Climb the hill above Alcala.